511 N. Old Wire Rd. is located in Lowell, AR. Convenient to all of Northwest Arkansas. GORGEOUS HOME completely updated with granite countertops in kitchen... JUST BEAUTIFUL! 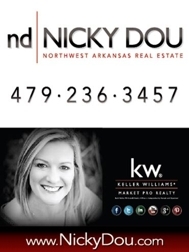 2 Options to BUY THIS HOME FOR SALE IN LOWELL, AR.